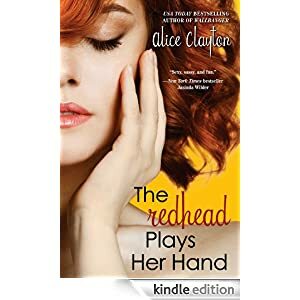 I loved the first two Redhead books, but its some months and several hundred books since I read them, so a re read was in order to bring me back to Grace and Jacks world. I could have dived straight in, but I think re reading made me appreciate the story so much better. Ah Jack – I fell in love with him all over again. Grace – I could empathise with her so much, she’s older than Jack, only nine years but the media have been making much of that, and of course she’s had such a lot to overcome to get where she is, and that kind of knock to her confidence brings back all her own fears about herself and her history and about Jack…. She’s been a huge success in the Mabel Unstable play, and its now being turned for TV with her keeping the lead role. The producers though are adamant that she lose weight, and that’s tough as she’s not overweight, but the media mania for stick insects persists. Add to that the ageist comments that make her out to be a cougar, and she’s feeling under pressure again – and who could blame her….and Jack seems to be having his own crisis, friends with a co star “bad boy” he seems to be out on the town all the while he’s away from Grace. Is the Hollywood lifestyle becoming too much for him to handle? There’s pressures between him and Grace and him and manager Holly, and with her still forbidding him to be seen out publicly with Grace its creating some intense friction between them all. Its a fabulous read, after all the heartbreak of book two when Grace has her meltdown this time its Jack feeling the pressure and its a very emotional read wondering if Grace and George will get their happy ending….and when things go wrong there’s pages and pages of sadness, lots of emotion, lots of misery for me to wallow in 🙂 – and that makes all the difference as once things begin to look up its like climbing out of a deep hole. I love authors that can write this deep, intense emotion into a romance, I don’t want sweet and light, everything bland and boring, I want overwhelming highs and lows, and to feel lost in the characters emotions. And of course the media frenzy about Grace’ age – the other way round and its “way to go man” – but older woman, and she’s written off as some media hungry cougar hanging on the coattails – sad isn’t it, and the book writes it exactly as we see it played out in real life. Ditto Grace’ weight – we’ve an obsession about females and image and yet men don’t have all that to put up with, grey for them is distinguished not ageing, weight gain – they’re not fatties, tubby, overweight, any of the labels women get but… well, they just “fill out a suit well”. Then there’s wrinkles , on a women she’s ageing, in need of facelift/botox but for a man – just adds character…so annoying and this book takes all that and that’s what makes the plot and people come alive for me. Fabulous ending too – ties up the trilogy brilliantly. I loved this series to begin with, Maddy was a likeable person, Beezle made me laugh, Gabriel made me swoon….and there were other people that added to the mix, her friend Patrick , other agency staff and her cross to bear and boss JB!, her father, grandfather and Nathaniel. Things have changed though over the course of the books, Maddy has become harder, less prone to looking for a peaceful solution and using a “let them all burn, heh heh heh …” approach it seems to me. She does have a bit of conscience when she thinks about those who are being killed, but mostly a pragmatic –“ it had to be done, well at least I think it did, ah well too late now” view it seems to me. 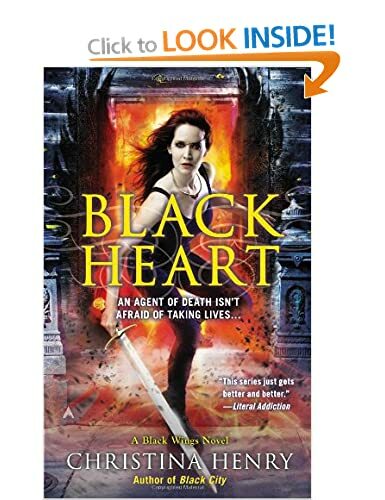 Black Heart describes how she’s becoming, and I’m bothered that she’s becoming accepting of her darkness. Patrick was killed, Gabriel was killed, she’s no longer with the agency, JB has become a fan of hers now..her father is dead and Nathaniel – well he’s become someone unrecognisable. When Gabriel died that was it I said – I can’t read Maddy without Gabriel – their relationship was a kingpin of the books, so I ducked out on the last book, then decided maybe I was wrong so tried the series once more. I can’t believe what’s happened to Maddy though – she’s not someone I really like any more 😦 She’s pregnant with Gabriel’s child, but it seems he’d only been dead a couple of weeks when she picked up into a relationship with Nathaniel of all people – that’s right, the one who was so uncaring, so horrible and cruel etc….how could she? She loved Gabriel, they’d been through so much and to just move on to someone else so soon…. I’ve always had an interest in alternative healing, nature, pagan religions etc so am open minded about whether such things as magic and spells really can work. So many books though are written as though the reader already knows about ingredients and rituals. Not this one, so if like me you’re an open minded but very amateur practitioner/reader this book is perfect. Michael explains very clearly and easily how to set up things for the best chance of success. How to meditate, how to visualise what you want, how to be specific about what you hope to achieve. Add to that the easy way he shows how to source ingredients and you’re away 🙂 no eye of toad and bats ears here, no gathering drops of dew from under a fallow oak tree after a new moon, no wearing expensive robes and using specially cast pots on available from select expensive outlets…just simple easy to follow recipes and instructions. 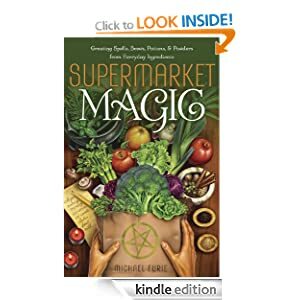 Magic for everyone interested and seeking to learn more but short on cash to spend on speciality items. The spells too are easily set out, simple steps to follow and eliminates the possibility of error. That’s essential for success, it’s no good setting a spell asking for your boss to give you a much needed raise, but mistaking a word or ingredient and turning him into a toad!!! (though maybe you want him turned into a toad? But this book won’t tell you how to do it. It follows the “do no harm” principles of best magic. Its a great read and clever source book for anyone open minded enough to want to learn more. It’s 288 paperback pages, I don’t have kindle info or price yet. Stars: a really fun and interesting read – five stars.